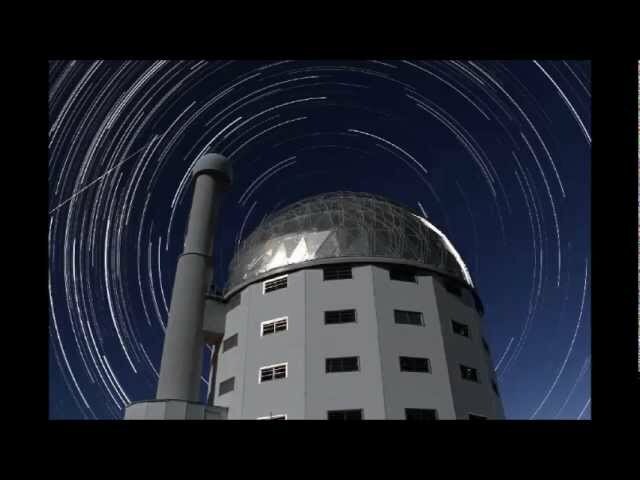 A virtual tour of the telescope. 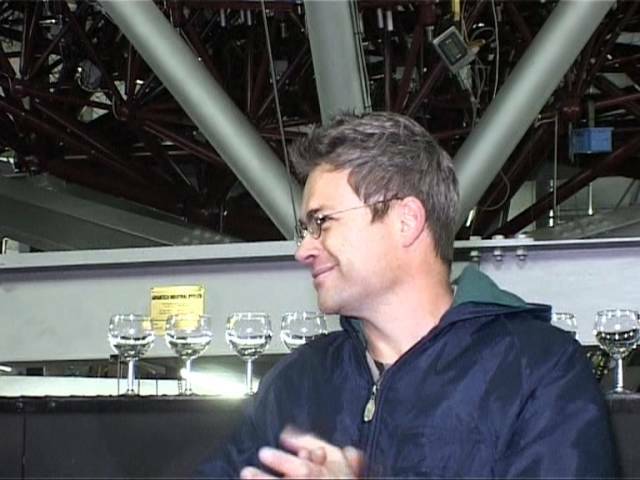 Part 2 of a 2 part documentary series that covers the construction of the Southern African Large Telescope. Part 1 of a 2 part documentary series that covers the construction of the Southern African Large Telescope. 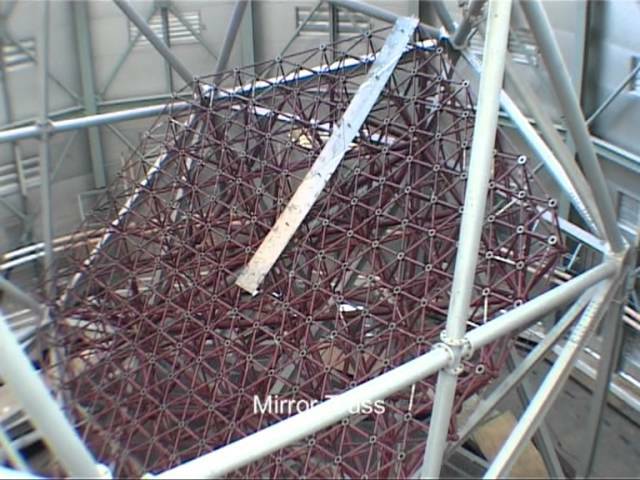 Montage of 3 consecutive nights in July 2012 showing SALT in action from a unique point of view: the camera is mounted on the mirror structure, replacing one of the mirror segment. All technical details are at the end of the video. Montage of mostly 4 consecutive nights in July 2012. 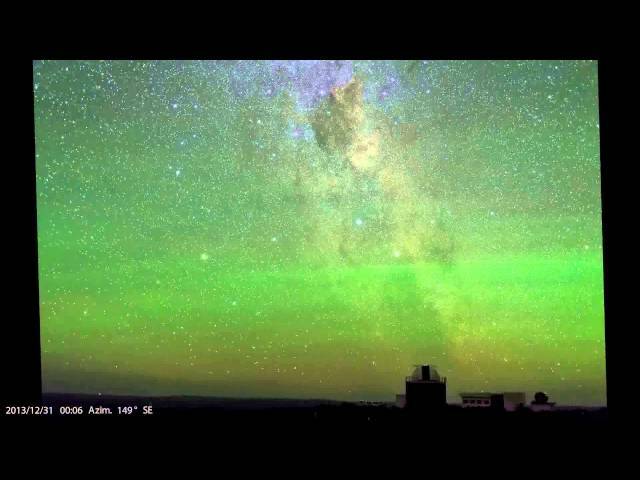 Green airglow captured in Sutherland at the end of December 2013, during a time of high solar activity. Airglow is a natural phenomenon caused by extreme UV radiation (from the Sun) exciting oxygen atoms situated 90-100 km high in the thermosphere. 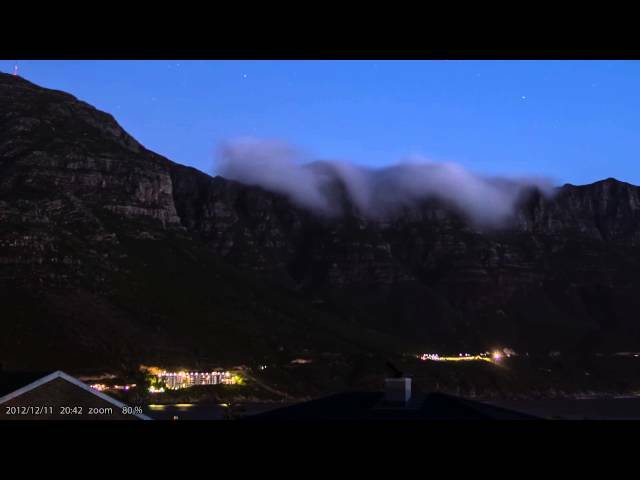 Collection of time-lapses done in and around Cape Town during my first year as an enthusiast photographer. Most of the sequences include an astronomical object (Moon, Sun, Planets, Comets) setting or rising against an interesting foreground scenery. The Observatory in Sutherland sports 20 domes of which six are manned with the rest robotic. Bright Moon is not ideal for astronomy or photography, but it does illuminate the scene very effectively, creating day-time like scenery, except it includes stars in the sky! 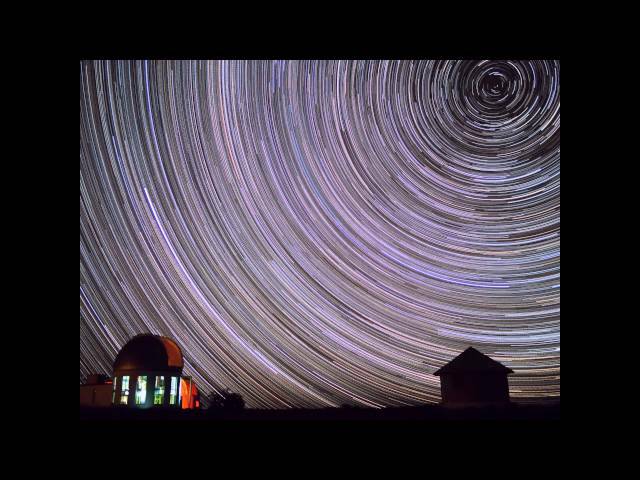 This timelapse movie shows some of the domes and telescopes in action on a bright clear night. 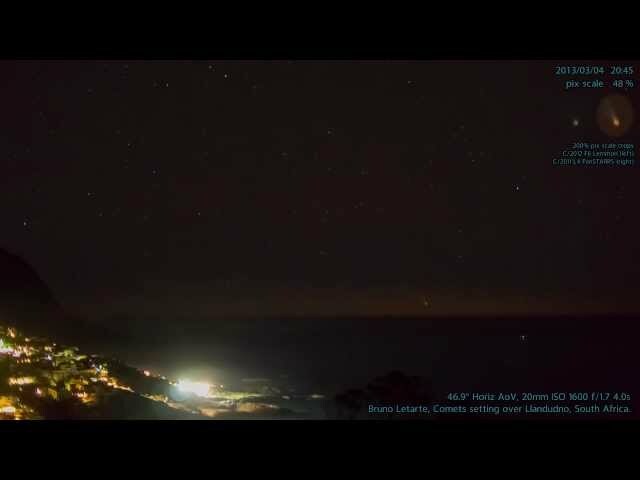 A timelapse of 2 comets setting over the ocean in Cape Town, and various shots of comets seen from around Cape Town. 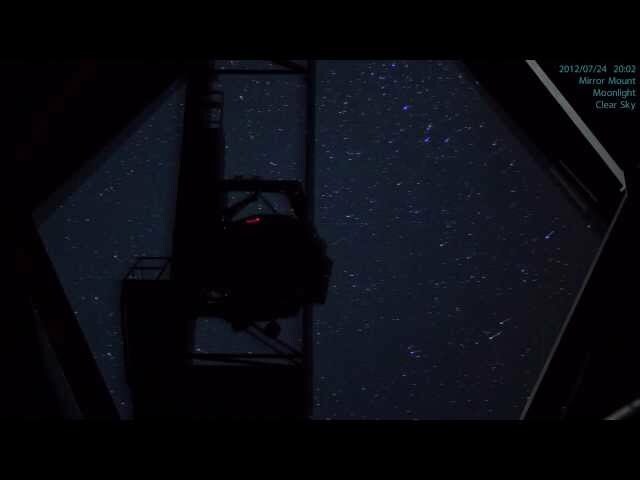 Have an interesting astronomy video that you want to share with us?